This content is provided by J A (Lon) Bouknight. 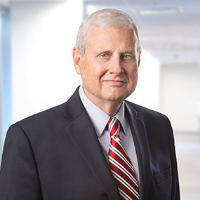 Lon Bouknight is considered to be among the nation’s premier lawyers in the electric power industry. Lon advises clients on a broad range of regulatory and antitrust matters, including obtaining regulatory approvals and antitrust clearance for major mergers and acquisitions. He also represents clients in commercial disputes involving energy supply and transmission matters, and advises senior management and corporate board members on highly sensitive matters. Clients benefit from his deep industry roots, including eight years of experience in senior positions at Edison International and Public Service Enterprise Group, two of the most respected energy companies in the United States.